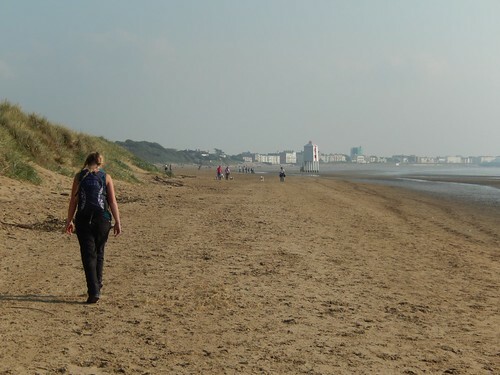 It’s been a while since we completed this walk – our most recent addition to our route following the (unofficial) Somerset Coast Path – and I forget the exact date, having visited the same stretch of beach twice within as many weekends. 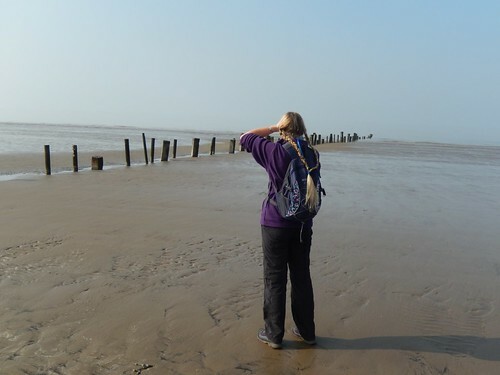 I believe it was a Saturday, although our visit a week later was definitely on a Sunday… I know for a fact that we began the walk in Brean and would only walk as far as Burnham-on-Sea, completing our shortest single stint of the coast path walk to date. We made a joint decision to try and ‘reduce the tempo’ slightly after our previous walk, where we tried to cover too much distance at once, on a Sunday and ended up in a situation where my car was locked away by the time we returned to it and the owners of said site were far less than welcoming, initially. 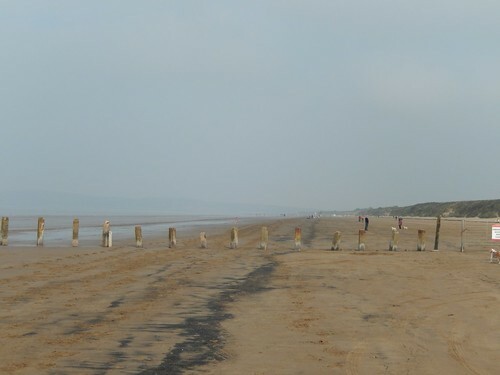 Our start point was Brean Leisure Park, where we could comfortably park one car for £2.50, knowing that we’d be back in time, even if we were to transform this in to a circular walk. 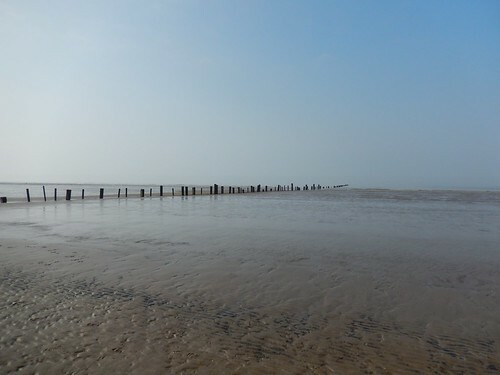 At the other end, we took advantage of the many free spaces at Apex Park – which is always my favourite place to park for visits to Burnham beach, as it’s only a short walk along the river and, well, I do like walking! 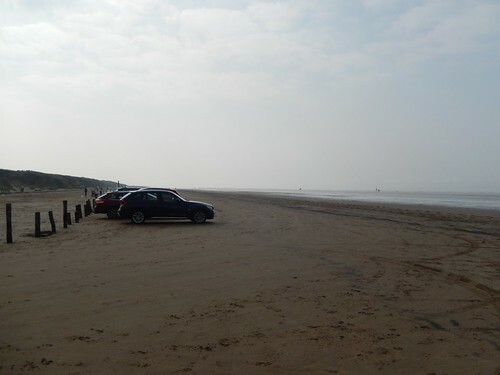 A week later and I discovered another free (but small and limited) car park at Berrow Dunes Local Nature Reserve. You’d struggle to park more than a dozen cars in there and it’s not signposted at all so I would advise an early start, if you do ever intend to use it. We skipped maybe two-hundred yards of road walking with our latest start point and it was acceptable, after the trauma of crossing broken bridges (four times) to reach an inaccessible car at the end of our previous walk. It was as if it wasn’t there. This was early October and I imagine these photos may give a real wintry feel. In actual fact, there was not much of a breeze at all and we were soon removing our warmer layers. This wasn’t summer yet, it still felt as though the cold winds that have hit the day I sit down to write this, were still a long way off. 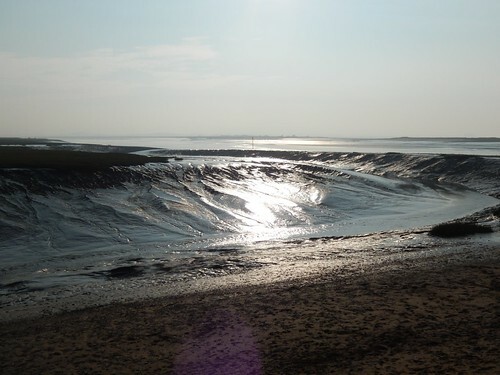 During the preparation for this one, we’d briefly talked about doing a longer stint, starting at Brean Down (where I could’ve parked for free, given my National Trust membership). 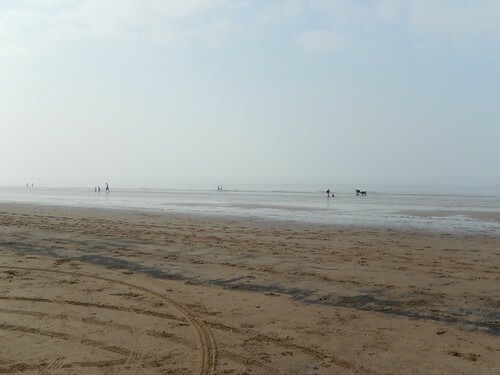 But sand can often be challenging, even exhausting, to walk upon. 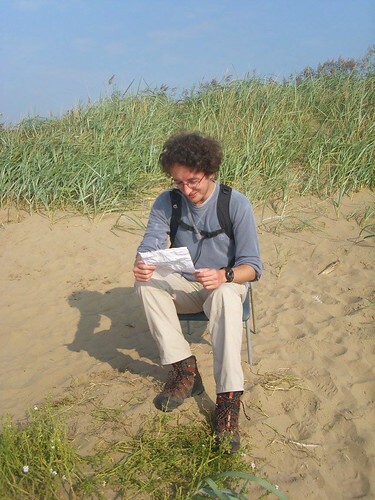 So, we kept it fairly short to suit the simplicity of following the sea. 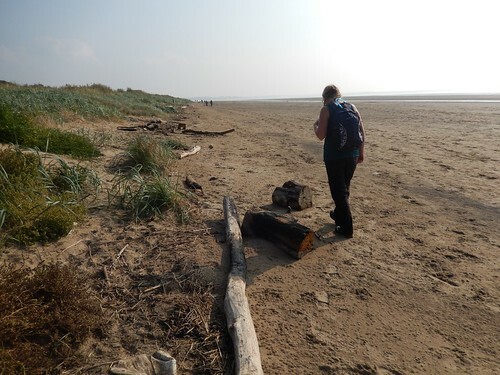 Between Brean and Burnham and, in Berrow particularly; you’ll almost always find driftwood when the tide is out, with many other items often thrown in as well. It was an almost ‘disturbing’ cry for love from one lonely and local resident. Only one-hundred yards further along and we’d find the exact same letter in another bottle. Along with a convenient and functional chair to sit on. I don’t know of the author’s personal torment but I do suddenly feel a lot better about my past attempts of internet dating! 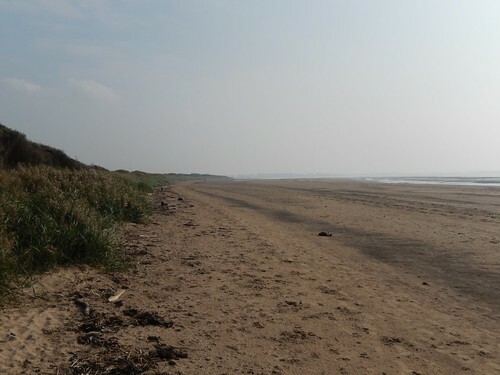 Beside Berrow, we almost had the beach to ourselves for what must’ve been a good two-mile stretch. 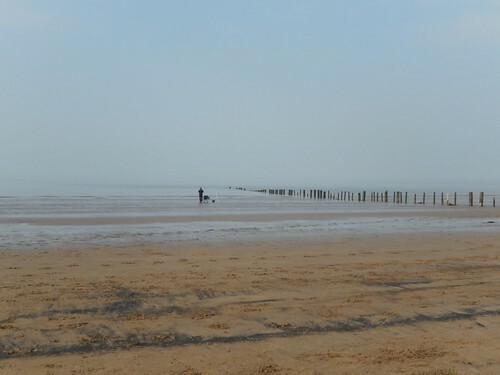 You’ll see the odd dog walker pass in either direction (I think one of the dogs was frightened by the sight of a person seemingly with two heads…) but it’s not until you reach Bunrham-on-Sea that you discover where everyone has been hiding on such a fine, if misty, day. 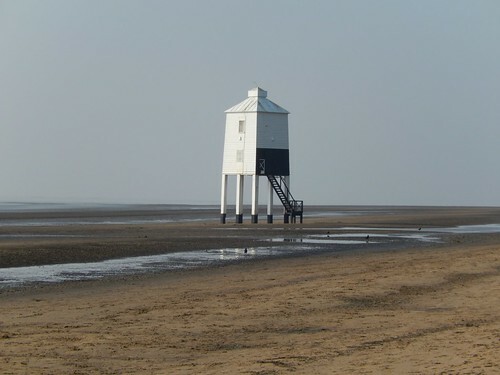 There’s the infamous wooden lighthouse – one of three similar structures within the town’s heritage. 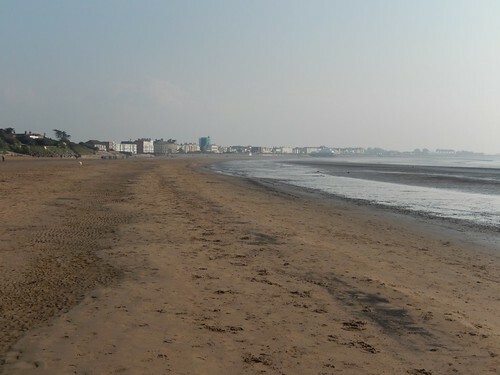 Up until the end of September (and beginning in April, I think), dogs are prohibited from Burnham beach. We must’ve been here in early October but there was certainly ‘less mess’ than you might expect to find at other popular dog-walking sites. 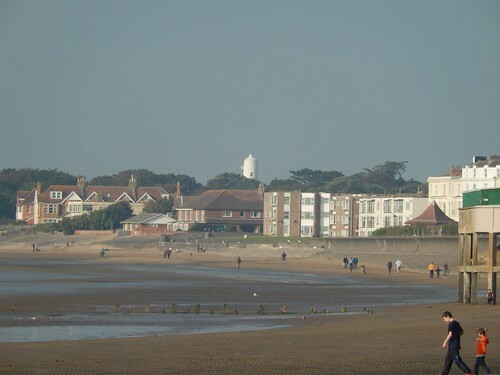 Looking back for a moment, we could see another lighthouse poking out above the houses. Although this one was decommissioned many years ago and is now a private residence (imagine trying to shift a double bed up or down a winding staircase…). 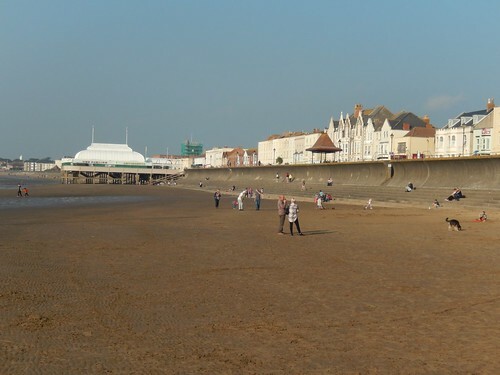 Currently regarded as the shortest pier in Britain, I’ve heard that there are plans to extend it out towards the sea. It was all very much unclear at the time; both in the significance and purpose behind this project. 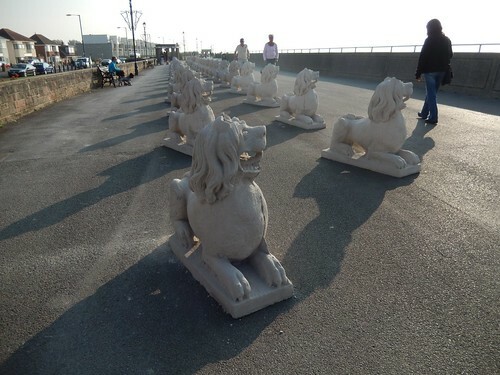 It’s unlikely to draw in the same crowds that previously flocked to Dismaland, a few short miles up the coast. 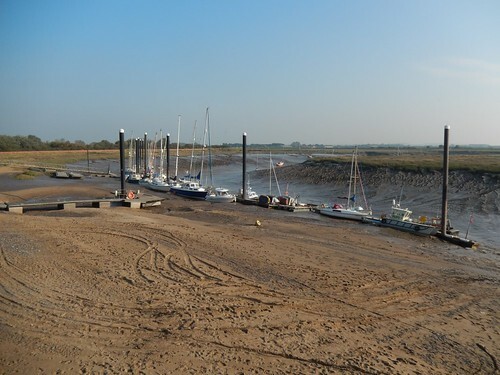 A short walk following the River Brue, with its low tide and boats marooned in the mud, would lead us back to Apex Park. 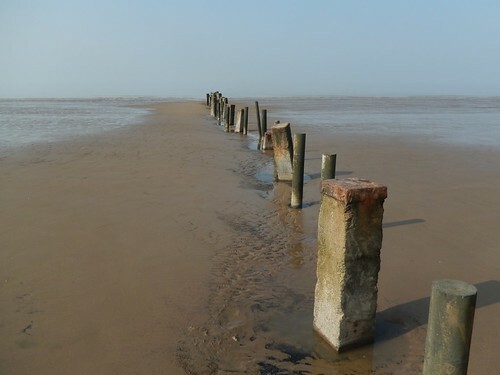 Future progression of our walk along the Somerset Coast Path is up in the air right now, due in part to personal circumstances and the fact that winter is nearly here. I like the idea of cow-free fields at this time of year, even if we would risk being battered by coastal winds. 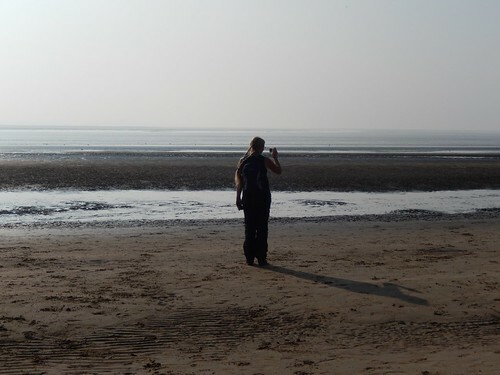 Initially, we’ll have some way to walk before rejoining the coast path proper but after turning the corner and heading west, we’ll be heading towards Minehead, Porlock and Exmoor – all of which we’re saving for the spring, as it could bring the major highlights from the entire experience. 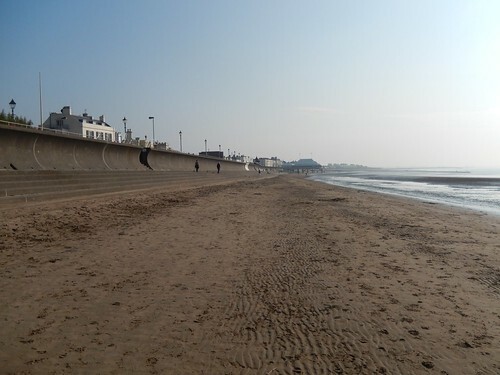 A lovely walk and a long stretch of beach. Yes, not sure about the art installation. They look like Chinese tigers, or dragons. Why? 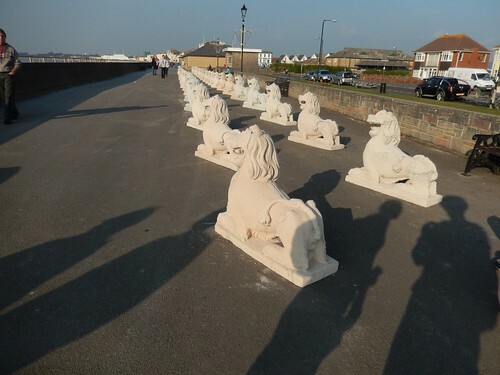 Weird..
Hi Ruth, there is indeed an almost-Asian theme behind these lions, who are set out to ‘guard’ the town against the tides and high waves during stormy weather… Still weird, though.